For years, many experts have said that leaving an IRA to young grandkids is a great idea. 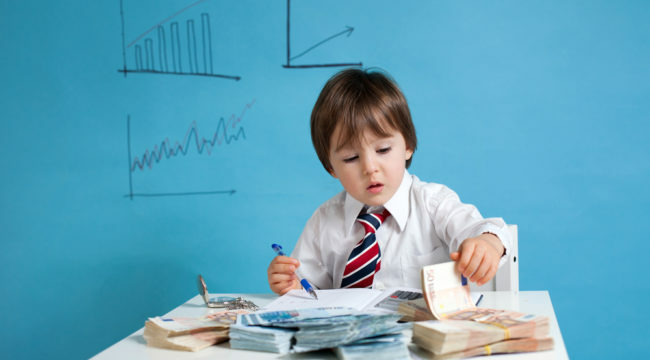 Because money in the inherited IRA continues to build up tax-deferred and required minimum distributions (RMDs) are based on the child’s life expectancy. For example, suppose a 65-year-old woman leaves her 12-year-old granddaughter a $250,000 IRA. The young girl would have 70.8 years to remove that money vs. just a 21-year window if the grandmother had lived. The strategy was also meant to reduce overall income taxes, since smaller distributions were generally at the child’s lower rate rather than that of her granddaughter. But now, thanks to the Tax Cuts and Jobs Act (TCJA), a big revision could change your mind on whether it still makes sense to leave an IRA to a child. · It applies to children under 19 and those 19-23 who are full-time students whose income doesn’t exceed half of the yearly expenses for their support. · It only applies to unearned income received from income-producing investments, such as stocks and mutual funds. · Salary and wages are not counted and are taxed at the child’s regular income tax rate. The first $1,050 of a child’s unearned income (interest, dividends, capital gains) was tax-free, the next $1,050 was taxed at 10%. And all unearned income above $2,100 was taxed at the parent’s highest income tax rate, if higher than the child’s rate. That could have been as high as 39.6% in 2017 if they filed jointly with taxable income of at least $470,700. However, a little-talked about change actually makes things worse for many “regular income” households. Beginning this year — and until 2026 when the individual changes to TCJA expire — a child’s unearned income above the $2,100 threshold is taxed at the same rate as income in a trust. The parents’ rate no longer matters at all. Look again at that highest bracket… 37%! A child would fall into that bracket once unearned income exceeded the $2,100 threshold by $12,500. In contrast, a married couple filing jointly would need an income above a whopping $600,000 to pay that rate. Moreover, the top long-term capital gains rate of 20% now kicks in above $12,700 for a child vs. $479,000 for jointly-filing parents. Moderate income families in lower brackets could feel the biggest impact by this change since a child could easily pay a higher rate than the parents. She would have to take an RMD of $3,531 in 2018 ($250,000÷70.8 years). Under the old rule the tax would have been $278 assuming her parents’ top rate was 12% (taxable income $19,051 – $77,400). Under the new rule the tax would be $248. At age 18 (age of majority in most states), if your daughter withdraws say $25,000 for college, or for any other reason, the Kiddie Tax under the old rules would have been $2,853. Under the new rule it would be $6,965. More than double! Getting around the Kiddie Tax can be a challenge. You’d have to prove that she is independent in that she provides more than half of her support from earned income. So, is it still a good idea for grandparents to leave big IRAs to young grandchildren? Grandparents could convert their traditional IRAs to Roths and name a grandchild the beneficiary. Distributions from Roth IRAs aren’t taxable. The grandparents would have to pay tax on the amount converted. But with a little planning, it’d most likely be at a lower rate than the child would pay under the Kiddie Tax. I have been advocating Roth IRA conversions for many years now, and this just adds one more reason why. Option #2: Fund a 529 college savings plan. As I recently explained in a separate article, a 529 plan is a tax-advantaged savings plan designed to encourage saving for future education costs. 529 plans, legally known as “qualified tuition plans,” are sponsored by states, state agencies, or educational institutions and are authorized by Section 529 of the Internal Revenue Code. Withdrawals used to pay for eligible higher-education expenses come out tax-free. And if your state allows it, up to $10,000 a year per child can be taken out tax-free for K-12 private-school costs. Option #3. A UTMA/UGMA account. An UGMA or UTMA (named for the Uniform Gifts to Minors and Uniform Transfers to Minors Acts) is a custodial account that allows you to give money to a minor while maintaining control over the money until the child reaches the age of majority. The first $1,050 in earnings is tax-free. The next $1,050 is taxed at the child’s rate. And anything over $2,100 is taxed at the parents’ rate. Finally, if your child has already inherited a substantial IRA and is in or about to go to college, have them borrow as much as possible for college. After they graduate, or turn 24, they could repay the loans with withdrawals from the IRA. The withdrawals would be taxable, but at the child’s rate rather than the higher Kiddie Tax rates.